Dunnottar Castle is a romantic, evocative and historically significant ruined Castle, perched on a giant conglomorate on the edge of the North-Sea. Once seen – never forgotten. 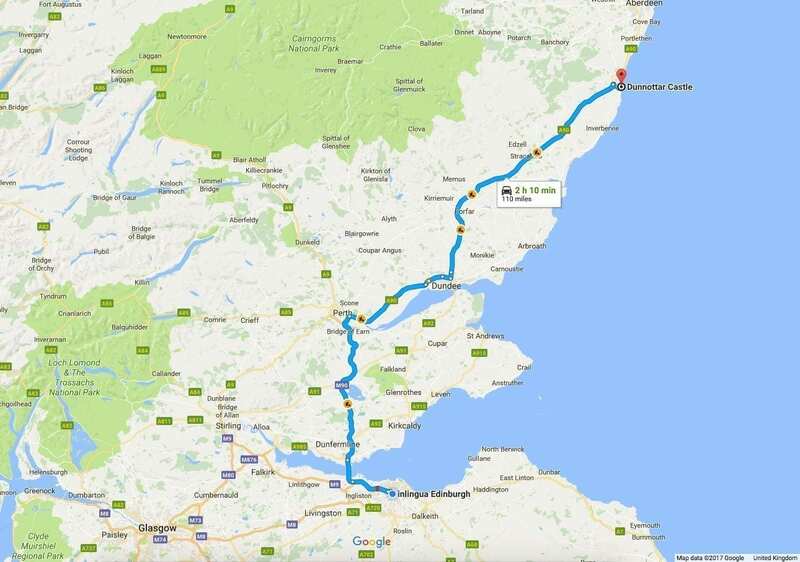 The medieval fortress is located upon a rocky headland on the north-east coast of Scotland, about 3 kilometres (1.9 mi) south of Stonehaven. The surviving buildings are largely of the 15th and 16th centuries, but the site is believed to have been fortified in the Early Middle Ages. Dunnottar has played a prominent role in the history of Scotland through to the 18th-century Jacobite risings because of its strategic location and defensive strength. Dunnottar is best known as the place where the Honours of Scotland, the Scottish crown jewels, were hidden from Oliver Cromwell’s invading army in the 17th century. The property of the Keiths from the 14th century, and the seat of the Earl Marischal, Dunnottar declined after the last Earl forfeited his titles by taking part in the Jacobite rebellion of 1715. The castle was restored in the 20th century and is now open to the public. William Wallace, Mary Queen of Scots, the Marquis of Montrose and the future King Charles II have graced the Castle with their presence. 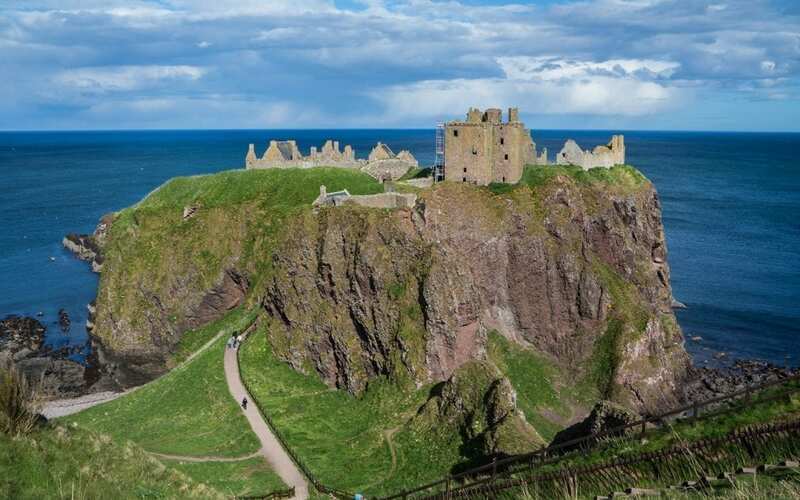 Most famously though, it was at Dunnottar Castle that a small garrison held out against the might of Cromwell’s army for eight months and saved the Scottish Crown Jewels, the ‘Honours of Scotland’, from destruction.